BKW Instruments are a four generation, family run company based in Manchester, UK. They provide several types of equipment linked to pressure, temperature, level, flow, valves and analytical instrumentation solutions or services to several industries in the UK. To quote and despatch instrumentation within 24 hours. To design, assemble, test, fill, calibrate and despatch within 3-5 days. To automatically replenish stock within a set of parameters based on stock turn. At DriveWorks World 2018, we were joined by BKW’s Operations and IT Manager, Adam Baker, who told us more about their DriveWorks project. “We use DriveWorks as a web based platform that allows our company to interact with our SYSPRO ERP system securely from any device, anywhere in the UK. 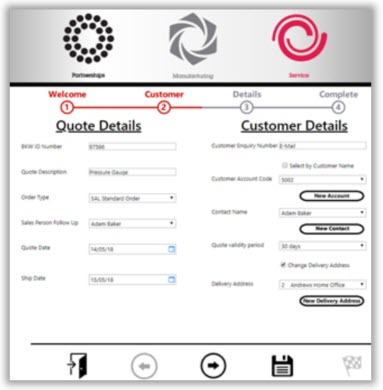 The application we’ve developed enables us to organise and speed up every day business processes and tasks. Creating quotes and following up with them. Retrieving information related to a job or sales order. Logging incidents, IT support tickets and returns. “With DriveWorks, we have met all of our business objectives, resulting in significant time savings and increased productivity. At BKW, our people are our most valuable asset and all of our internal team use DriveWorks. It’s very easy when training employees to use the system as it only takes a matter of days. Sales enquiries are logged and entered into the system within 30 minutes. This process used to take around 3 hours to complete. Our internal sales team also create quotes twice as fast as before, resulting in a 100% increase in productivity! “For us, the most important thing about DriveWorks is the ability to create custom bespoke software utilising visual wizards rather than heavy coding. This allows our company to build and customize the application we’ve created quickly and easily. We now have more time to focus on our workflow and business analytics rather than programming heavy code.” explains Adam. 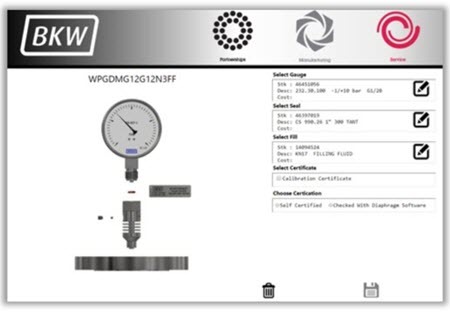 For more information about BKW Instruments and their products, visit: www.bkwinstruments.co.uk. Speed up quote, despatch and design process - verify concepts, validate designs and test function fast. To automatically replenish stock within a set of parameters based on stock turn. Implement DriveWorks Pro as a web-based platform.